These days, custom pickup trucks are everywhere, with interested buyers offered a plethora of choices both from the aftermarket and straight from the factory. However, 40 years ago, it was far less common to get a bespoke aesthetic direct from the manufacturer. In that sense, the original Warlock pickup broke the mold, and now Ram is taking the nameplate off the shelf for a fresh special edition iteration of the 1500. 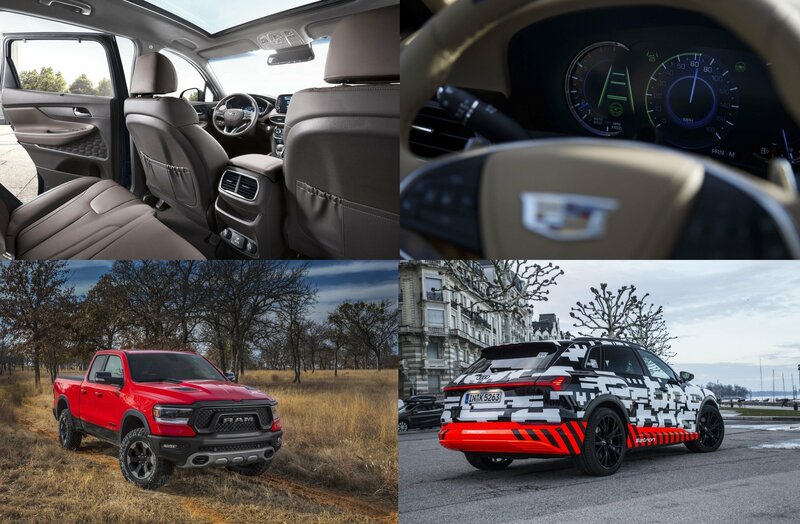 It’s the dawn of a new age for pickup trucks these days as the RAM 1500 and the GMC Sierra square of in a battle of wits involving their respective…tailgates. Unlike in the past where pickups are usually compared by the amount of power they produce or the amount of weight they can carry or tow, we’re entering a new frontier where the term “trick tailgate” is about to become one of the most important elements of a pickup, if it isn’t there already. GMC was the first to showcase its six-function MultiPro tailgate in 2018 on the Sierra truck. 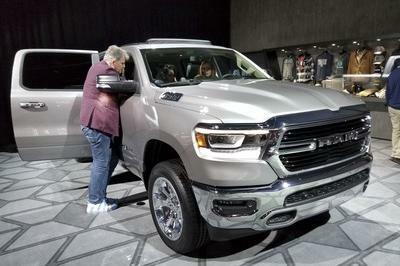 It took some time, but RAM has responded with its own trick tailgate, known as the MultiFunction tailgate, at the 2019 Chicago Auto Show. So, now that we’ve seen both tailgates and tinkered with them on separate occasions, which of these two is better? For that, we look at the Tale of the Trick Tailgates. For those living in areas with rough winters or simply refusing the lure of indoor binge-watching when the temperatures drop and the elements go all crazy, the Ram 1500 North Edition might just be the present you write Santa for. 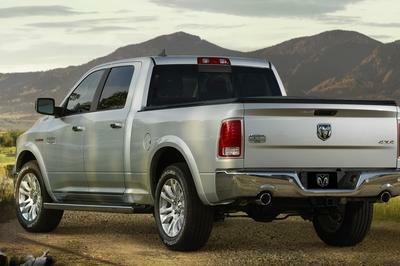 With winter on the horizon, Ram is gearing up for the season with a new special edition 1500 called the North Edition. 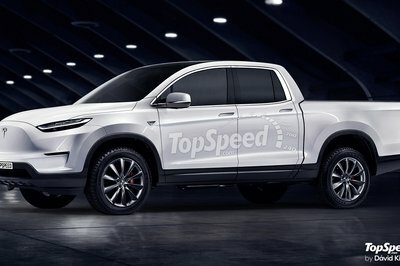 The limited-run full-sized pickup is on the receiving end of a slew of upgrades, covering the exterior and interior, as well as the performance capabilities of the pickup. 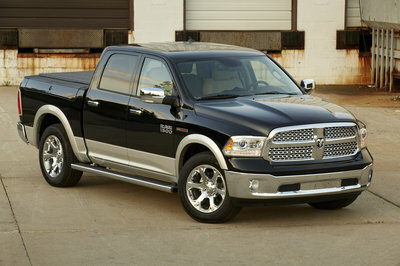 The Ram 1500 North Edition is already on the market. Prices start at $45,890, not including the $1,695 destination fee. German Motors & Engineering has released a tuning package for the Ram 1500, called the “Bigfoot Edition.” The package gives the American pickup truck a comprehensive overhaul, covering the exterior, engine, and suspension. GME’s objective is to give the RAM 1500 the kind of off-road versatility you normally don’t see in a car in Germany. To that extent, the tuner did as good a job as you’d expect from a company that knows what it’s doing. While I am not convinced that fuel efficiency is the decisive factor when choosing between trucks, RAM did make the biggest step in the fuel efficiency direction with the new 2019 Ram 1500 eTorque. We saw it some time ago, but the EPA wasn’t ready to publish fuel-economy values for the trucks equipped with the new technology. In truth, I can only describe as a mild hybrid. 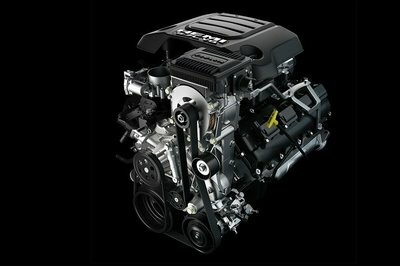 Now, the EPA has revealed the numbers for the V-6 eTorque and V-8 eTorque Ram 1500 and the numbers are good. 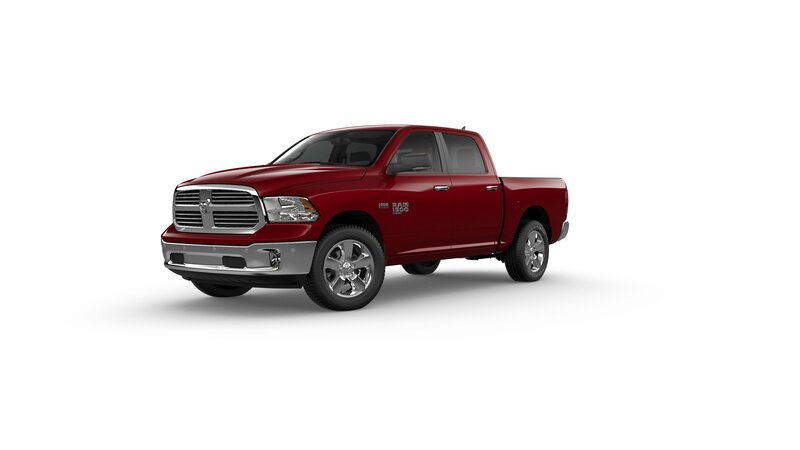 With two-wheel drive, a 3.6-liter V-6 engine, and the eTorque system, the 2019 Ram 1500 can return 20 mpg in the city, 25 mpg on the highway, and 22 mpg combined. The V-8 powered model, on the other hand, is a bit more thirsty, but still, it will return 17/23/19, respectively. Bear in mind; it uses a big 5.7-liter, V-8. Ram is the latest in a long line of automakers to sell a new generation model alongside the old generation model it just replaced. 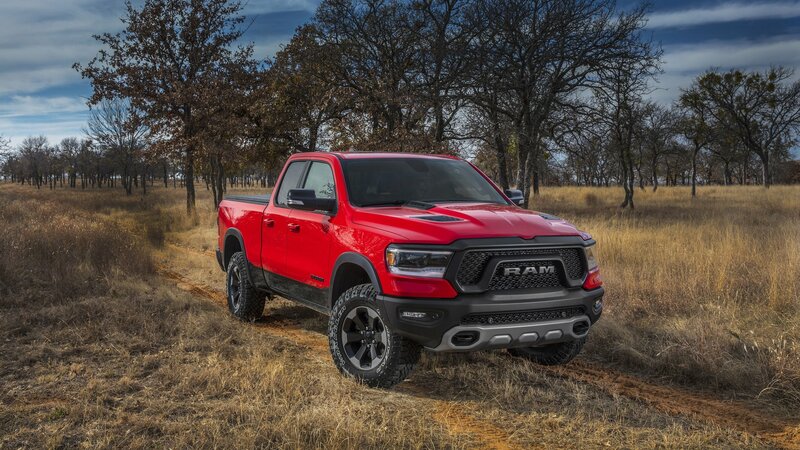 Don’t get confused, then, if you see the next-generation Ram 1500 sitting alongside the Ram 1500 Classic inside Ram dealerships all over the country. Unlike the next-gen model, the 1500 Classic is being packaged as a no-frills option that would-be customers can opt to get if they’re not willing to pay extra for all the new goodies that are available on the new 1500. SUVs and trucks practically replaced sedans and wagons. Heck, they are so popular now that some manufacturers make three-door versions of SUVs, something that has never worked well. Nevertheless, this year has seen a fair share of SUV and truck releases, but as with everything else, some are more important than others. 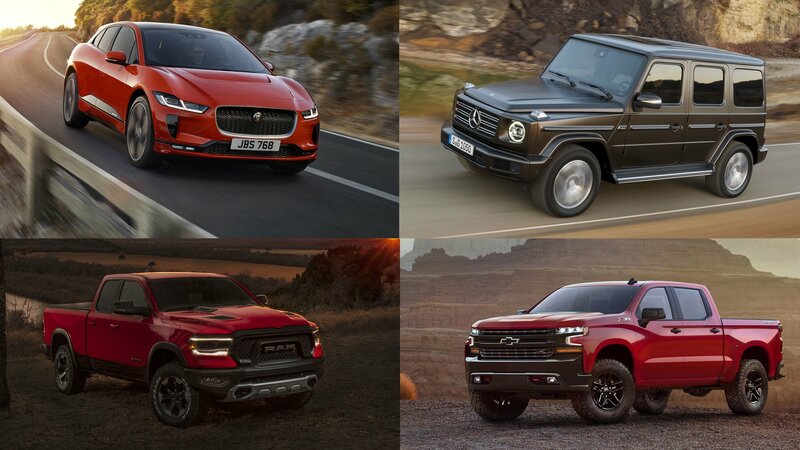 I present to you five best and most important truck and SUV debuts so far this year. Ram had to keep up with Ford and Chevy, so the time came to give the Ram 1500 a very serious update. And, a serious update is exactly what it got. And, when we say full update, we mean it is all-new with a new frame, new grille, and a completely revised interior, among other things. 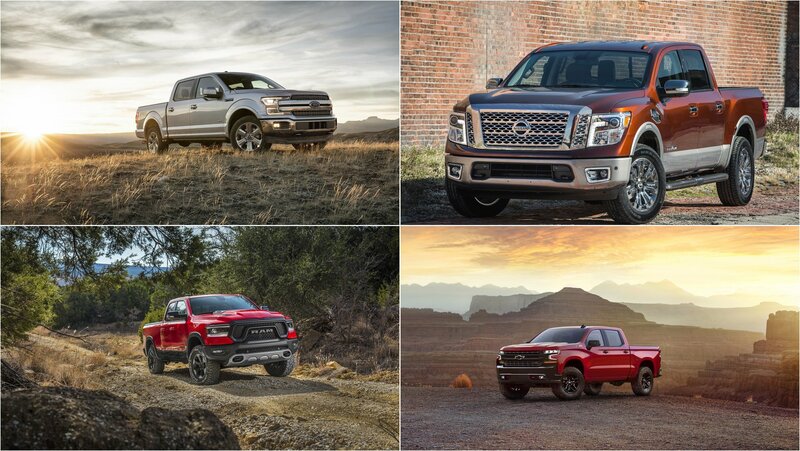 The fifth-gen model brings together every major selling point the truck has ever had in the best way yet it’s lighter than ever. Even the EcoDiesel V-6 got an update to deliver more power and torque while the truck can even be had with a deployable front air dam and a mild-hybrid drive system. We could talk about the new Ram 1500 all day long, but that’s not why we’re here (you can read our full review for that.) instead, we’re here because we love the look of the new 1500 and decided to make it our wallpaper of the day. Check out our hand-picked favorite or choose from a full gallery of awesome shots. It sounds a lot like a Gone in 60 Seconds type theft and, as reported by the Detroit Free Press, it’s actually far from being the first of its type. Warren Police Commissioner, Bill Dwyer, said that while it’s not unheard of, it’s very unusual for this kind of theft to include such a high number of vehicles stolen. He said there were likely at least 10 people in the bed of the initially stolen truck. It’s still unknown whether the thieves are targeting various parts of each truck or the trucks themselves, but it’s believed to be part of a mass order with buyers already lined up. And, the worst part is that even if the trucks aren’t on their way to their illegitimate owners yet, FCA isn’t really working with police to solve the problem. The company obviously has to perform its own internal investigation and can’t even disclose if the keys were stored inside the stolen vehicles. This, in turn, is frustrating police who have yet to hear back from FCA amid the fact that there’s an ongoing investigation. It looks like Ram is taking on the trucks segment with ruthless aggression. And why wouldn’t they? People in America have taken a certain liking towards trucks which reflects in the sales figures as well. Sedans are on the verge of extinction and SUV’s are losing their plot to trucks. 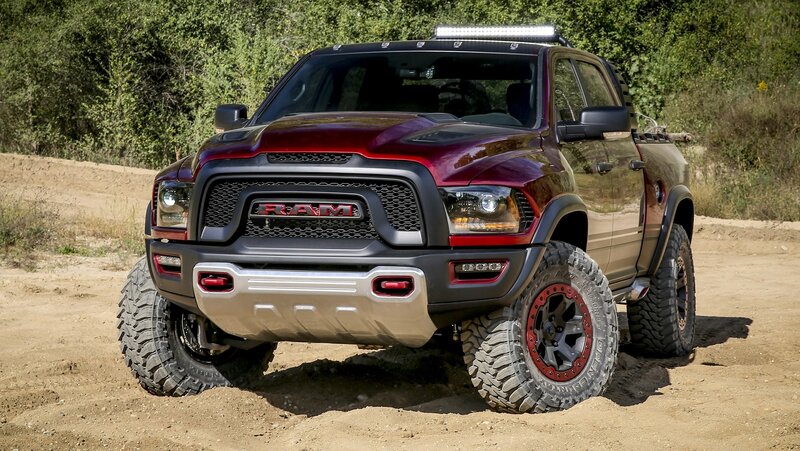 As reported by 5thGenRams.com, the company is planning to take on the Ford F-150 Raptor head-on with an all-new beast called the Ram Rebel TRX. Read on to know more about it. Fiat Chrysler Automobiles is voluntarily recalling roughly 228,508 Ram 1500 and Heavy Duty pickups due to an issue with the Brake Transmission Shift Interlock on trucks with a column-mounted shifter. The system keeps the shift level from leaving Park without the vehicle’s key in the ignition and the brake pedal depressed. The problem occurs when the BTSI system overheats, potentially occurring when the brake pedal is held for an extended time while the transmission is in Park. Once overheated, the BTSI system fails to keep the shift lever in Park without the brake depressed and ignition on. This means the at even without the key inserted, the truck could be shifted into gear or neutral, causing an unintentional roll-away. FCA’s voluntary recall covers 180,975 Ram trucks in the U.S., 42,045 trucks in Canada, 4,066 trucks in Mexico, and another 1,422 in locations around the globe. Thankfully, no injuries or accidents have been reported due to the BTSI issue. The majority of truck affected by the recall are 2017-2018 Ram 2500 and 3500 pickups, and certain 2017-2018 Ram 3500, 4500 and 5500 chassis cabs. There are also a number of 2017-2018 Ram 3500 chassis cabs with a Gross Vehicle Weight Rating of less than 10,000 lbs. To a lesser extent, a certain 2017-2018 Ram 1500 pickups are also included in the recall campaign, but FCA says heavy-duty trucks represent the majority of affected vehicles. As with any recall, the automaker will repair the issue at no cost to the owner. 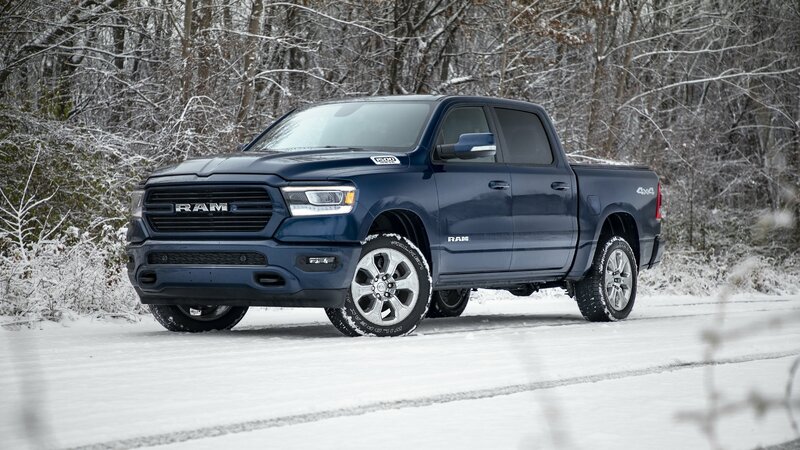 Ram’s February recall of BTSI systems in 2017-2018 trucks follows a similar recall in December for trucks from the 2010 – 2017 model year. They include the same group of Ram Heavy Duty trucks and a small number of Ram 1500 trucks, all equipped with the column-mounted gear shifter. The recall included roughly 1.48 million trucks in the U.S., 249,520 trucks in Canada, 42,747 trucks in Mexico, and roughly 14,950 trucks outside the NAFTA region. Unfortunately, as of December 2017, FCA was aware of seven “potentially related” injuries and a “small number of potentially related accidents” with the BTSI in question. All new vehicles manufactured after September 1, 2010 are required to have a BTSI. Read our full review on the 2017 Ram 1500. 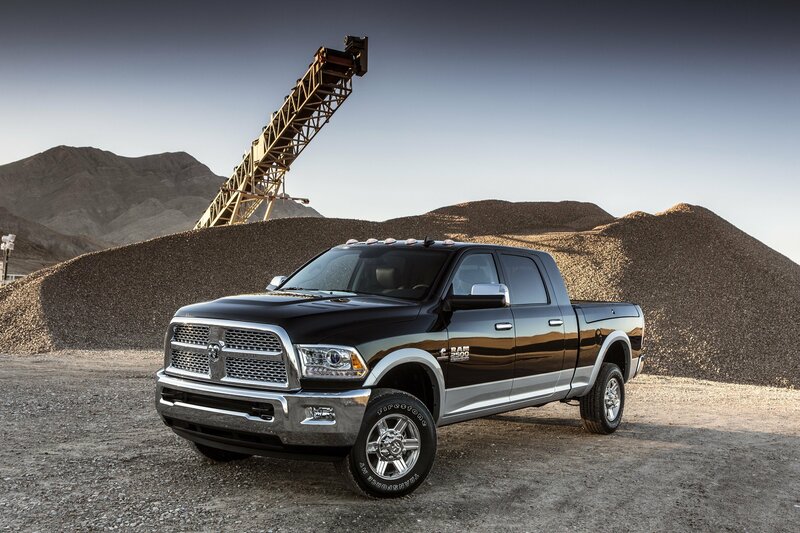 Read our full review on the 2017 Ram Heavy Duty. Ram has made a massive splash in the half-ton pickup segment with its all-new 2019 Ram 1500. It debuted at the 2018 Detroit Auto Show in January and is expected to arrive in showrooms by the end of the first quarter. That’s an impressively quick turn-around time as this processes normally takes six months to a year with most vehicles. Nevertheless, we’re restless to get our hands on the pickup. In the meantime, we’re left dreaming of the ideal build configuration for an average American. 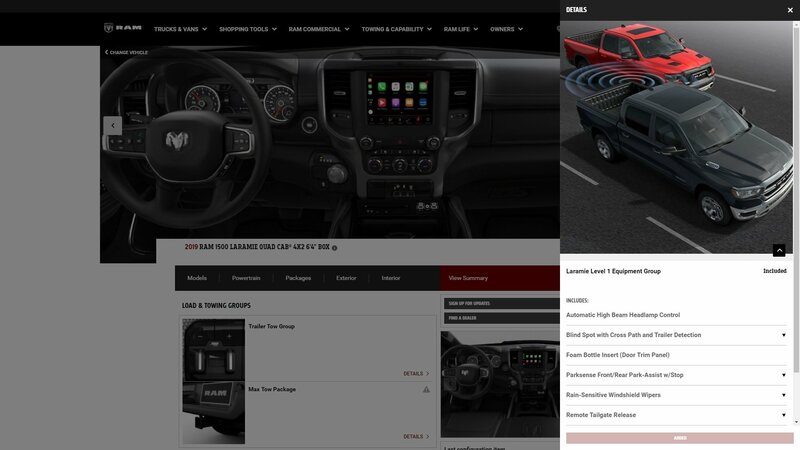 Modern pickups offer literally thousands of possible cab, bed, engine, and trim combinations. Here, we’re shooting for that middle-class family who might tow a small boat to the lake on the weekends, haul sports equipment in the bed, and carry those 2.5 kids to their various extracurricular actives – all while staying within a reasonable budget. Crew Cab pickups are extremely popular these days and for good reason. They offer room for five to six people, have rear seats that fold away for storage of larger items, and still have a large enough cargo bed for most users. As such, we’d definitely opt for the Crew Cab for this build. As for trim level, we’d opt for the Laramie. It lands slightly above average in the scale of trims, offering more standard equipment than the Big Horn but less than the Western-themed Laramie Longhorn and the range-topping Platinum. For those with a slightly more conservative budget, the Big Horn would still work nicely. And speaking of price, this comparison will unfortunately not include MSRPs or package pricing. That’s because Ram hasn’t released the numbers as of this writing. Nevertheless, we can guesstimate the final price based on the outgoing 2018 model. In addition to the Crew Cab configuration and five-foot, seven-inch cargo bed, we’d also opt for the incredibly handy RamBox system. The integrated storage boxes are watertight, lockable in conjunction with the doors, illuminated inside, and have a drain plug for evacuating water after they’ve been used as a cooler. The Laramie trim comes standard with 18-inch aluminum wheels, which are just fine. On top of that, we’d pick Blue Streak Pearl as the paint color, just as something a bit more exciting than gray, black, or white. 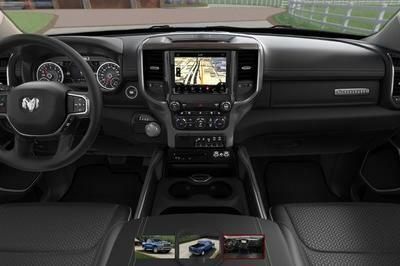 The Laramie trim level comes standard with leather seats with a front bench seat. This means there is room for six people, which for some families, is a necessity. 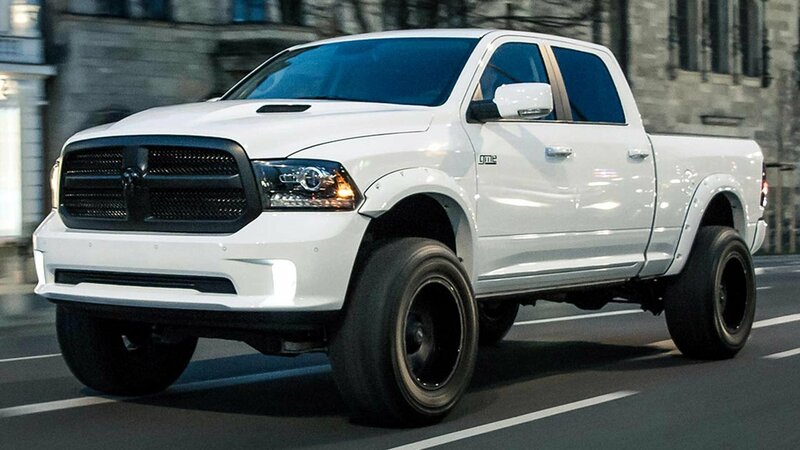 For those who would rather have the extra storage space, Ram has the front bucket option. The integrated center console that accompanied the bucket seats has space for hanging file folders, cup and coin holders, and even an optional wireless phone charger. 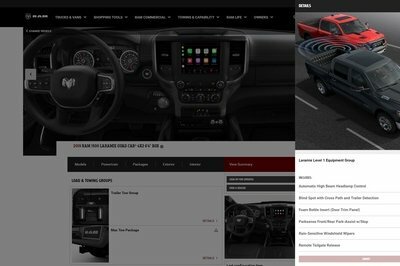 Ram has two big option packages for the Laramie: the Level 1 and Level 2 Equipment Groups. Level 1 adds things like automatic high beams, blind spot monitoring, parking sensors, rain-sensing windshield wipers, a remote tailgate release, and a CD Player. Level 2 adds even more goodies like a 19-speaker Harman Kardon sound system, heated second-row seats, a rear under-seat storage compartment, the wireless phone charger, and the lovely 8.4-inch Uconnect infotainment system with navigation. Naturally, Level 2 also includes all the features in the Level 1 package. The 2019 Ram 1500 Laramie will initially be available with only the 5.7-liter Hemi V-8. That’s fine with us since the engine kicks out an impressive 395 horsepower and 410 pound-feet of torque. Better still, customers can also get the Hemi with Ram’s new eTorque system, the mild-hybrid addition that helps with low-end power while offering an improvement in fuel economy. The standard transmission is the new, next-generation TorqueFlite eight-speed automatic. Customers do have a choice between rear-wheel drive and four-wheel drive. Since most people never venture off the pavement, we’d stick with rear-wheel drive and save on fuel economy and the initial purchase price. Ram offers three rear axle ratios: the standard 3.21, a 3.55, and a 3.92. We’d stick with the 3.21 since towing and drag racing aren’t on the agenda. This ratio will also greatly help with fuel economy. We would, however, spend the extra money on the Anti-Spin differential. This will help with all-weather traction. 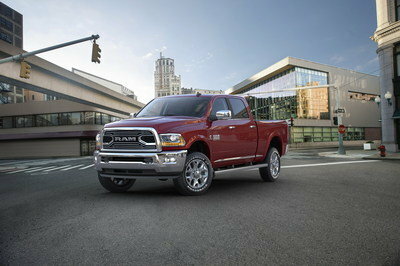 Last but not least, we’d opt for the 33-gallon fuel tank, which gives the Ram an impressive cruising range. 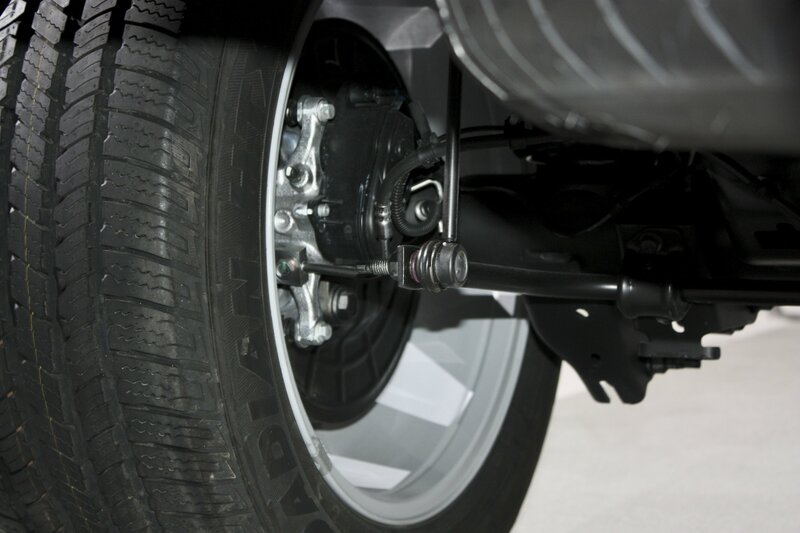 To save on cost, we’d skip the four-corner air suspension option. 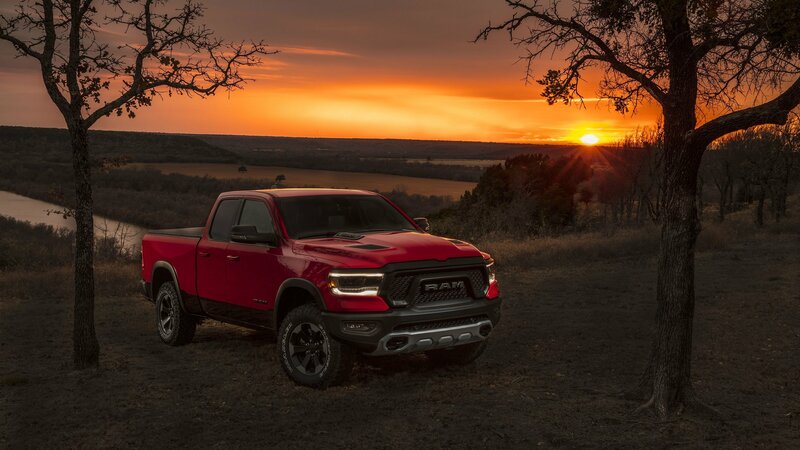 Like we mentioned, Ram has not announced pricing for the 2019 model. So, in order to get an understanding of how much out specific configuration might cost, we’re looking at the outgoing model from 2018. Configured with the same cab, bed, and drive type, the 2018 model starts at $42,095. Upgrading from the 3.6-liter V-6 to the 5.7-liter V-8 costs $1,450, though that cost might be baked into the 2019 model since the 3.6-liter doesn’t appear to be available. The Anti-Spin Differential is a $435 upgrade, the up-sized fuel tank costs $405, the Convenience Group adds $545, and the RamBox another $1,295. On the inside, the removing the front bench seats for the buckets costs $695, while getting navigation programmed on the 8.4-inch Uconnect system costs another $795. 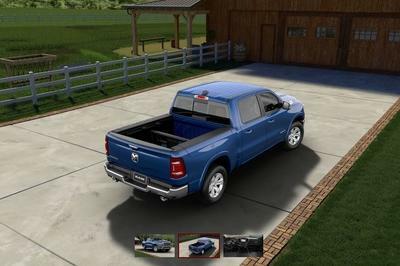 Ram charges $345 for the CD player – something that comes included in the 2019’s Level 1 Equipment package. The total price comes to $49,955, including the options and Ram’s $1,395 destination fee. 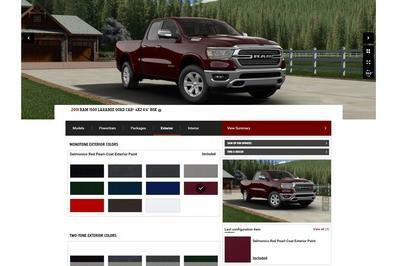 Now, according to Ram’s Build And Price website, there is $7,500 in discounts on the 2018 model, which brings the price back down to $42,455. Of course, we don’t expect to see such hefty discounts in the first few years of the new Ram’s lifecycle, so the final price will likely be higher. 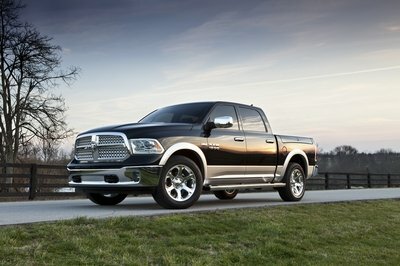 Add to that the inevitable increase in price Ram will charge for the new truck. While not cheap by any means, this configuration offers the best of both worlds – swanky tech, leather seats, a powerful V-8, and tons of interior space while not cresting beyond the $50,000 mark. What do you think of this build? What would you do differently? Let us know in the comments. Read our full review on the 2019 Ram 1500.